Zenith windows or Zenith Staybrite is one of the largest double glazing installers in the UK. As a member of the Entu group, the company is backed by one of the largest manufacturers and distributors of double glazing in the UK. For that reason, Zenith is likely one of your top options when choosing a double glazing installer. Zenith specialises in uPVC doors and windows and does not offer wood or aluminium frames. As part of the Entu group, Zenith can sometimes offer lower prices, because they are part of a single group that includes installation, manufacture, and retail. Zenith Staybrite or Zenith Home Improvements was founded in 1969 as Bowater Home Improvements, operating under the trade name Zenith Staybrite. Zenith became one of the largest home improvement installers in the UK, with annual sales of over £77 million by the early 2000s. In 2008, Bowater Home Improvement declared bankruptcy and was bought out by the Entu Group, headed by Brian Kennedy. 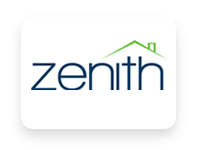 Under the Entu Group, Zenith Staybrite was rebranded to Zenith Home Improvements, and began offering uPVC doors and windows, composite doors, conservatories, roofing, roofline, and porches. Today, Zenith remains one of the top double glazing companies in the UK, and offers a range of products at affordable prices. While Zenith is one of the biggest and best double glazing installers in the UK, double glazing is one of the largest investments you can make in your home, and it is important to understand the pros and cons of every company you consider working with. Zenith has a reputation for offering quality service and good quality uPVC windows at and affordable price, but the company is not perfect. Their consistent issues with their sales team mean that you have to be on your guard when getting a quote for your windows. Zenith offers uPVC double glazing with 5 different frame options, multiple colours, different glass, and over 25 decorative glass options. This enables you to choose a personalised window that suits your home and the existing style of the architecture. However, it also means that Zenith double glazing can vary a great deal in cost depending on the base window frame, the glass, and the fittings that you choose. In addition, all double glazing quotes are partially based on the installation itself. For this reason, you cannot get an accurate quote on Zenith glazing without having a surveyor visit your home. For example, details like the height of your home, the condition of your walls, the difficulty of installation, and your existing windows can all affect the cost. However, in most cases, Zenith windows fall into average price ranges. In most cases, you can expect to pay about £350 per for a standard window, with costs greatly increasing for windows that are on the second story, require a great deal of work, or are exceptionally large. Zenith maintains their own in-house sales team, who are motivated to make sales with a monthly quota. This means that the company does sometimes have problems with their sales team using pressure sales tactics. 2-Year Quote Guarantee– Zenith stands out with a 2-year fixed quote guarantee. This means that if you have a Zenith surveyor over to your home, your can rely on them to hold the quote as a fixed rate for you for a period of 2 years after the survey. This allows you plenty of time to make up your mind, research, and make the best choice for your home. However, in some cases, the Zenith sales team will fail to mention this. If you want to take advantage of it, make sure you ask the salesperson while they are performing the survey. Complaints – There are a number of complaints against the Zenith sales team, primarily that they attempt to upsell, do not leave expediently if you ask them to and change your mind on making a purchase, and will often try to increase the cost of your purchase. For this reason, you should go into every survey knowing what you want, why you want it, and what it should cost. While Zenith has been working on these issues and has fewer complaints than most of their competitor double glazing installers, it is something to be aware of. Guarantee – Zenith offers a 10-year standard guarantee on all their products, including sealed glazing units. The guarantee is included for free with all products and is fully transferable with your home should you choose to sell it. The 10-year guarantee is the minimum required by FENSA and does not hold up in comparison to other double glazing installers like Everest which offer 25 year guarantees on sealed units. However, Zenith’s base prices are typically much cheaper. Care-Free Plan – Zenith’s Care Free plan is an optional insurance plan that includes repair and maintenance for the duration of the coverage. While the Care Free plan covers a great deal, and does not include exclusions or claim limits, Zenith does price their plan based on the doors and windows that you install. Financing – Zenith offers custom finance options to most customers, which comes with an up to 10% discount on your quote. However, all finance options do include interest, which can range as high as 19%. Zenith brokers finance options through lending corporations and is not themselves a lender. Job Worth Doing – All Zenith doors and windows are installed through Entu Group’s Job Worth Doing. Job Worth Doing is a Which? Trusted Trader accredited company and one of the highest rated installation companies in the UK. In 2016, the Job Worth Doing installed about 30,000 projects across the country. However, the company does have its fair share of negative reviews, and some branches are higher quality than others. It’s always important to pay attention to your installation, inspect the premises, and ensure that you are satisfied before signing off on the completed work. Zenith Staybrite is part of the Entu Group, a group of home improvement companies mostly specialising in double glazing, including other glazing installers such as Weatherseal, Entu, Penicuick, St. Helen’s Glass, and others. Each of these companies offers largely the same products, with differences in design, availability, service, financing, and rates. Zenith offers high quality uPVC double and triple glazing, which is ideal if you’re looking to install new windows as cheaply as possible. However, while Zenith offers budget double glazing, you do have to pay attention, know how to get a good deal, and work with the surveyor to get a good price. Know What You Want – Review Zenith’s range and decide what you want and why before you call a salesperson or surveyor. This will allow you to avoid upsells, and you will know that you’re getting what you want instead of what they wanted to sell you. You should also have a basic idea of the size of your windows and how much they should sell for. The average cost of a uPVC window is £350 per, but this can change if your windows are very large or very small. Be Prepared with Quotes – Knowing how much you will pay from other companies can help you to get a better deal form Zenith. 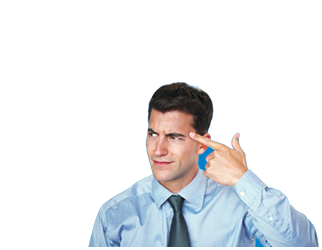 Don’t Sign Same Day – Zenith maintains a 2-year quote policy, but your salesperson may attempt to pressure you into signing on the same day. Because you have a minimum of 14 days to agree to a quote under UK law, you should never do this. In addition, Zenith frequently calls back after a few days to lower their quote even further, which can help you to get a better deal. If you did sign same-day in your home, you can legally cancel the contract within 7 days of signing. Zenith is one of the largest double glazing installers in the UK and they offer quality work and quality windows. However, you do have to be careful to make sure you get the best price on your double glazing. If you’re ready to find out how much it costs to install double glazing, use our free tool to find and compare the top double glazing companies in your area. We’ll use your information to request quotes on jobs of your size, and send you the top 3 so you can see ballpark figures for what your job will cost from 5 star rated companies in your area. Who Else Wants Cheap Double Glazing?